My second loaf for the weekend was a Polish Rye Bread. 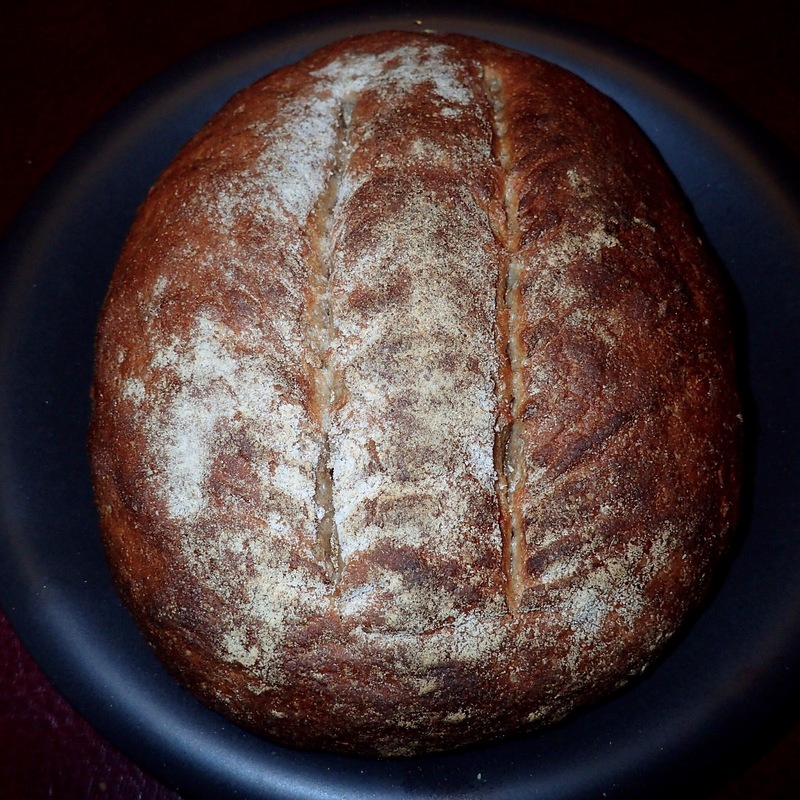 It’s an interesting recipe using half and half of white and rye flours mixed together along with caraway seeds. It then has a half and half mix of water and milk with honey. I used fresh yeast again, rather than a sourdough starter. It certainly rose a lot on the bulk fermentation (left for 3hrs) but problems came the second rise. I accidentally left it too long and when slashing, it collapsed a little. Not a disaster, but not as well made as my bloomers. After baking, it certainly smelt of different kind of dough and despite there only being 2 teaspoons of caraway seeds, it kept their flavour. Cutting into the loaf was a pleasure, the crumb was dense, but the smell and taste were good. It surprised me how much the seeds had flavoured the bread. There is a slight acidic background flavour, I imagine because of the slightly too long proofing (I remember over proofing a mik based loaf and it was very acidic), but the nuttiness of the rye comes through and it’s quite pleasant. 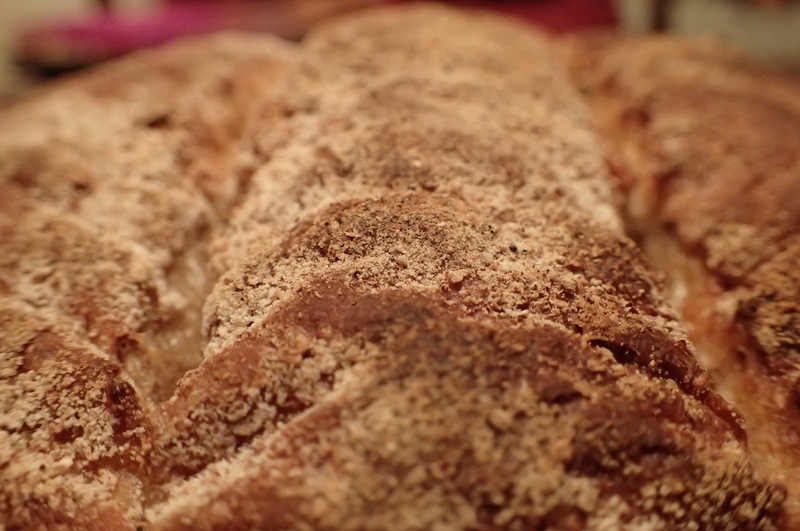 It’s recommended that the loaf is cut thin and I’d agree – it’s quite a filling bread.